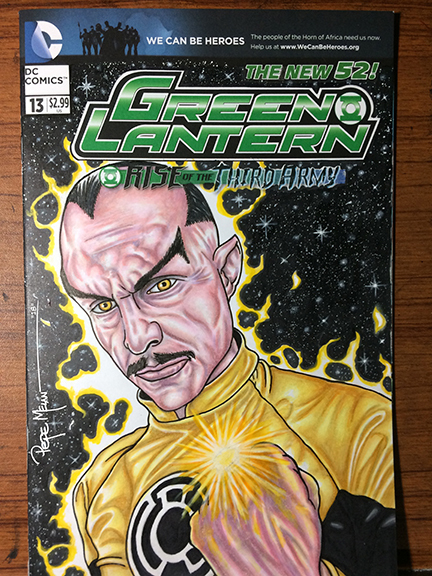 Here’s the finished up Sinestro Sketch Cover and the last step to my process. This is my favorite part of the process, adding all the little things that bring the artwork together. I add yellow to the energy with marker and acrylic using dry brush. For the ring power glow I use the same technique. Plus I went back to enhance the in the eyes.